You are here: Home / Real Estate Taxes and fees / What is Transfer Tax? 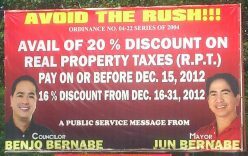 A transfer tax is imposed on tax on the sale, donation, barter, or any other mode of transferring ownership or title of real property at the maximum rate of 50% of 1% (75% of 1% in the case of cities and municipalities within Metro Manila) of the total consideration involved in the acquisition of the property or of the fair market value in case the monetary consideration involved in the transfer is not substantial, whichever is higher. This is pursuant to Section 135 of the Local Government Code of 1991 (LGC). You need to pay the transfer tax because the evidence of its payment is required by the Register of Deeds of the province concerned before registering any deed. This is also required by the provincial assessor before cancelling an old tax declaration and issuing a new one in its place. 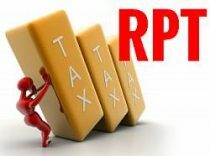 Please do not confuse the transfer tax which is paid to the local government with the transfer taxes due to the BIR (which may either be donor’s or estate taxes). Disclaimer: While great effort has been taken to ensure the accuracy of the discussion here as of its writing, this is not intended to replace seeking professional services. Always consult with your tax attorneys and read up on the relevant laws and regulations also. The payment of the transfer tax is the responsibility of the seller, donor, transferor, executor or and administrator. The deadline for payment is sixty (60) days from the date of the execution of the deed or from the date of the decedent’s death. Please note too that notaries public are required to furnish the provincial treasurers with a copy of any deed transferring ownership or title to any real property within thirty (30) days from the date of notarization. 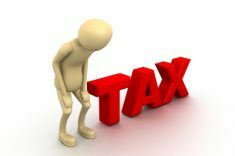 Penalty – No more than two percent (2%) per month of the unpaid taxes, fees or charges including surcharges, until such amount is fully paid, but in not to exceed thirty-six (36) months or seventy-two percent (72%). The transfer tax is to be paid at the Treasurer’s Office of the city or municipality where the property is located. Official receipt of the Bureau of Internal Revenue (for documentary stamp tax). 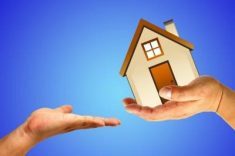 With regard to the transfer tax rates, please click on the links to see the different transfer tax rates and documents required to transfer the registration of a property. You have to check the rates on a per city or per municipality basis as the LGC only provides for the maximum rates. Click on the links below for the transfer tax rates of major cities. The http://www.doingbusiness.org site is so cool. 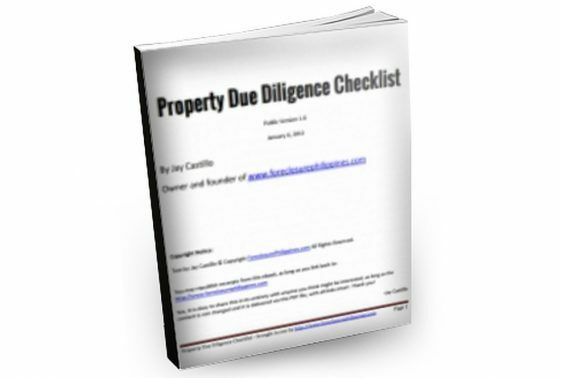 You can learn about the requirements for registering property, etc., with cost and estimated time to complete. In the case Romulo D. San Juan vs. Ricardo L. Castro, in his capacity as City Treasurer of Marikina City [G.R. No. 174617 dated December 27, 2007], one of the issues was the proper computation of the transfer tax base. In this case, petitioner San Juan conveyed real properties to a corporation in exchange for its shares of stock. Using as basis Section 135 of the LGC, San Juan wanted to pay the transfer tax based on the consideration stated in the Deed of Assignment. Respondent Castro, as the Treasurer, informed him that the tax due is based on the fair market value of the property. Petitioner Castro protested the Treasurer’s computation in writing, which the Treasurer also denied in writing. Petitioner Castro then filed a Petition for mandamus and damages against the Treasurer praying that he be compelled to accept payment of the transfer tax based on the actual consideration of the transfer/assignment. Petitioner San Juan took the position that the transfer tax base should be the total consideration involved, because the intention of the law is not to automatically apply the “whichever is higher” rule. He argued that it is only when there is a monetary consideration involved and the monetary consideration is not substantial that the tax rate is based on the higher fair market value. His argument was that since he received shares of stock in exchange for the real properties, there was no monetary consideration involved in the transfer. Respondent Castro, on the other hand, took the position that the transfer tax base should be the fair market value, because it is higher than the “monetary consideration” San Juan received in exchange for his real properties. Castro argued that “monetary consideration” as used in the LGC does not only pertain to the price or money involved but also, as in the case of donations or barters, to the value or monetary equivalent of what is received by the transferor, which, in this case, Castro argued to be the par value of the shares of stock San Juan transferred in exchange for shares of stock. 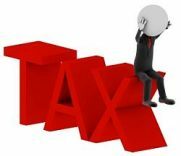 As anticlimactic as this may sound, the Court did not rule squarely on the correct computation of the transfer tax base because it held that a Petition for Mandamus was not the correct remedy. Mandamus lies only to compel an officer to perform a ministerial duty (one which is so clear and specific as to leave no room for the exercise of discretion in its performance) but not a discretionary function (one which by its nature requires the exercise of judgment). 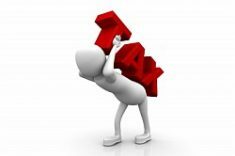 Considering that there is still an issue as to the proper computation of the transfer tax base, I suggest that we not delve into the various interpretations of Section 135 of the LGC and simply multiply the transfer tax rate by the higher amount between the consideration paid and the fair market value. Let’s take for example a residential condominium in Antipolo with a floor area of 50sqm and a Selling Price (SP) of Php2.0M. The existing market value as per Tax Declaration is currently at Php 1M. What if you don’t agree with the Treasurer’s computation? In the case earlier discussed, the Petitioner protested in writing against the assessment and Respondent denied it in writing as well. Petitioner should thus have either: 1) appealed the assessment before the court of competent jurisdiction, or 2) paid the tax and then sought a refund. In my view, the Petitioner San Juan could have made another argument, that is, assuming that the “monetary consideration” would be equivalent to the par value of the stocks (which is still lower than the fair market value), that value is substantial and thus, there is no need for the “whichever is higher” provision to kick in. Anyway, hopefully this issue would be decided upon squarely soon as there are really a lot of tax-free exchanges occurring and we really need guidance on the computation of transfer tax. Perhaps one day a taxpayer and his tax attorneys may decide to bring this issue up until the Supreme Court for a final decision. Taking everything into consideration, personally, unless the difference in tax that you need to pay is really significant, it would be better to follow the computation of the Treasurer. Filing a case in court would require filing fees and fees for tax attorneys, not to mention taking up much of your time. 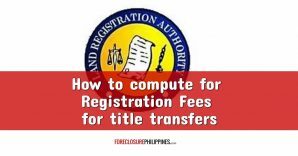 If you will not pay the transfer taxes, you cannot transfer the title to your name and this would lead to problems with your buyer and the closing of your sale transaction. Weigh your options first before heading to battle. In real estate, as in everything, closing the deal fast is key.